- Integration of Multiple 3rd Party Control Systems – Trane, Honeywell, Carrier, Automated Logic, KMC, etc. - Integrated Card Access Controls and Video. Licensed Security Contractor. - Integration of several 3rd Party Lighting Systems - Crestron, Lutron, etc. Our professional, licensed electrical installation and service team specializes in control, security, and network technology installation cabling and terminations. We also specialize in mechanical equipment service disconnects/reconnects and new installations. 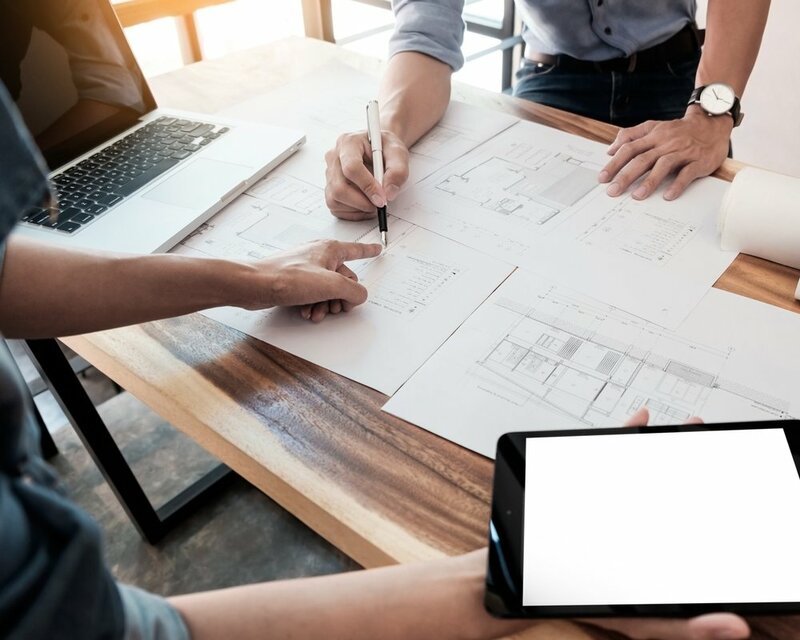 Our team of design professionals works with building owners, architects, and construction managers to create custom designed technology packages for security, voice/data, audio-visual, and other low voltage specialty systems. As a full service design-build-service firm, we bring a unique perspective to technology design. We understand the value to the team in establishing constructable designs with support for rough-in coordination early in the construction process. As a technology partner we help guide owners to define technology functional requirements and recommend best value technology solutions. We also facilitate the appropriate procurement / bid packages and evaluation process for these technology packages. SBS offers clients a higher level of Data Driven service to solve tough building problems. By utilizing data from existing control systems, SBS can implement cloud-based analytics to identify, diagnose, and develop reports on potential building performance and service issues. Coupled with a preventative maintenance plan, these analytics services allow SBS to identify and correct equipment issues and provide measurable improvements to a buildings performance and overall efficiency. Offering intuitive, Monthly Building and Equipment Scorecards, SBS can help clients track and prove building performance improvements for equipment, buildings and entire property portfolios. These analytics services are also useful in New Construction Commissioning and Retro-Commissioning as an advanced fault detection software.